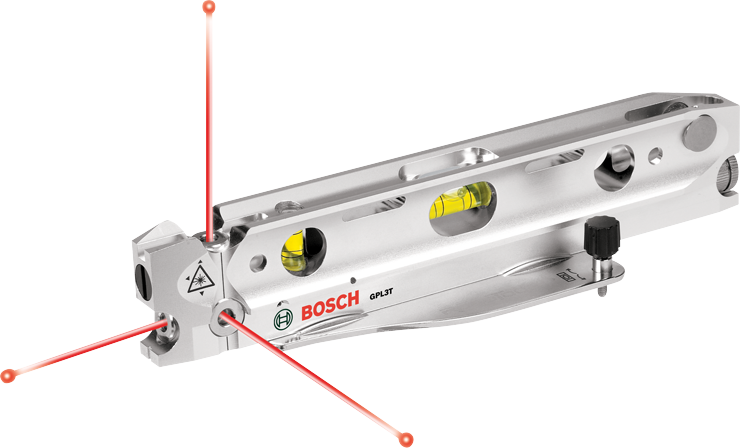 The Bosch GPL3T Three-Point Torpedo Alignment Laser features a patented diamond-cut beam splitter with a single diode that projects all points. 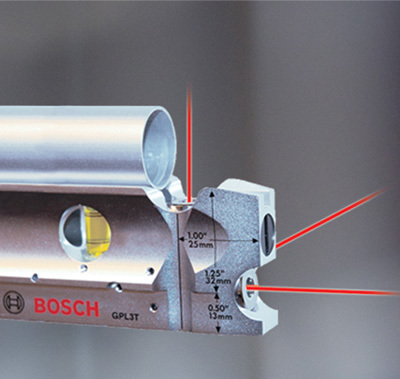 It is great for many tasks – from plumbing up floors and ceilings to installing drywall partitions, and more. 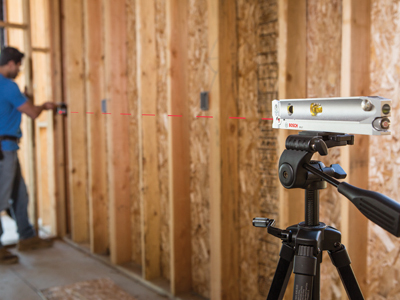 With both left and right 90° beams, this laser provides flexibility on the job, making it a must-have for any project that requires plumb, level and square point projection. Featuring a patented diamond-cut beam splitter, it sports a single diode that projects all points for superior accuracy. 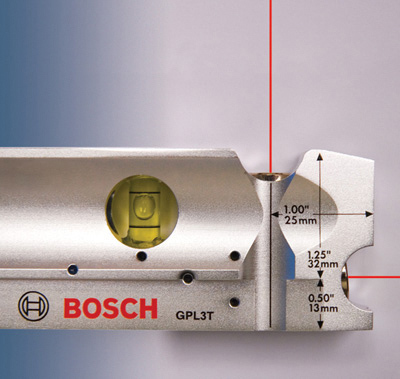 The unit is precision-crafted, anodized and machined for durability. Dimensions 9.5" x 1" x 1.75"